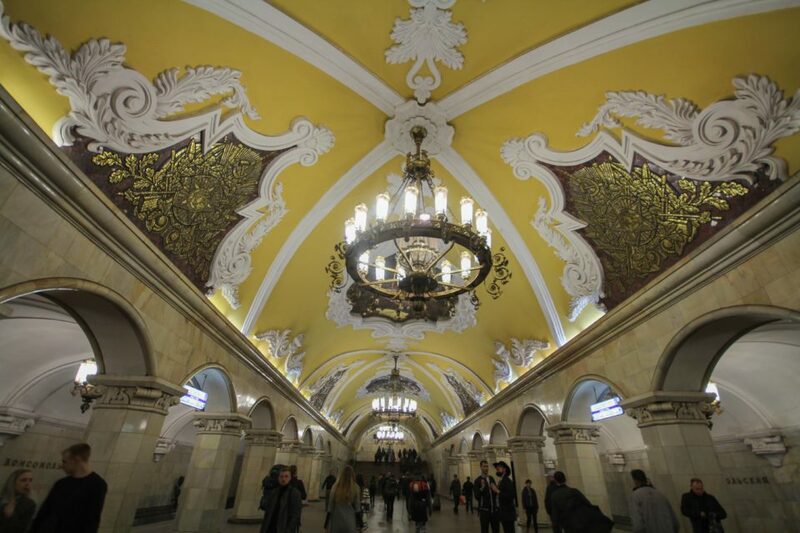 Team Red arrived in Moscow on the 11th April super excited to finally discover the famous capital city! The ambassadors spent four amazing sunny days wandering in the pleasant streets and parks of the centre, and enjoying the lively atmosphere of this busy city. 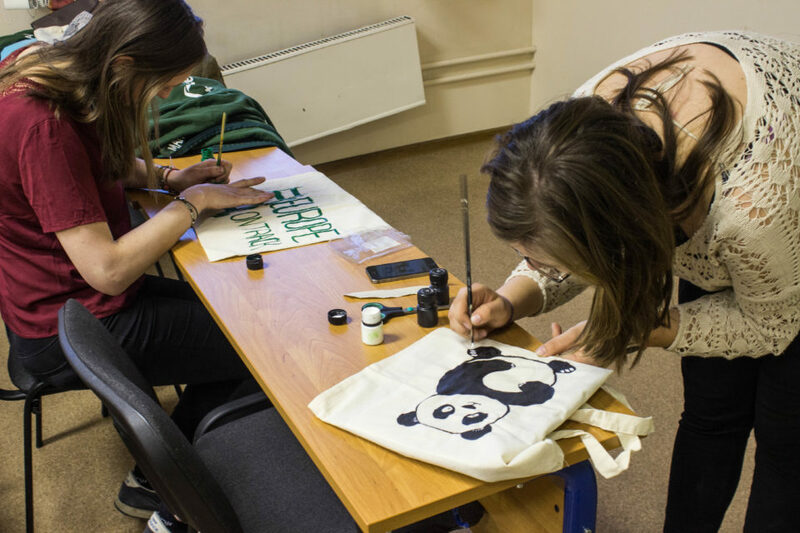 They also had many opportunities to discuss about ecology and climate change with the local young people, and to taste more of the delicious Russian cuisine! Since the 12th April is the national day of commemoration of the first human spaceflight in 1961, we went to the VDNH (the official site of the Exhibition of Achievements of National Economy) where milestones of the Soviet Space History and famous scientists and cosmonauts are commemorated. At the end of the long entrance walk, we faced the imposing Stella monument on top of which stands a statue of Vostok 1 (the first spacecraft taking humans to space). In Moscow, everything is huge and impressive. 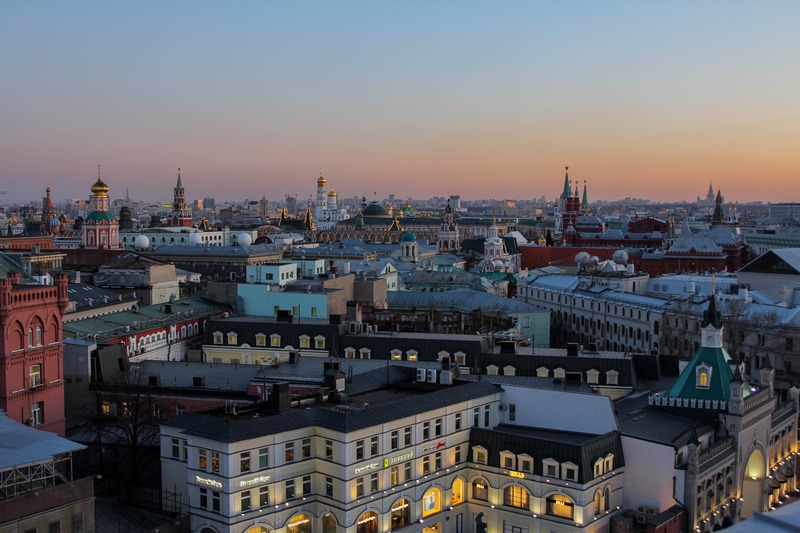 The capital of Russia has about 17 million inhabitants, massive buildings and churches, extra large streets, and impressive metro stations. Of course, during our city tour, we stopped by the famous Red Square. Fun fact: the square did not get its name from the red colour of some buildings surrounding it, nor in honour of communism as we might mistakenly think. It is actually because in Old Russian, ‘red’ (krasny) is a synonym of ‘beautiful’. Therefore, ‘Krasnaya Ploshchad’ should have been translated as ‘Beautiful Square’. 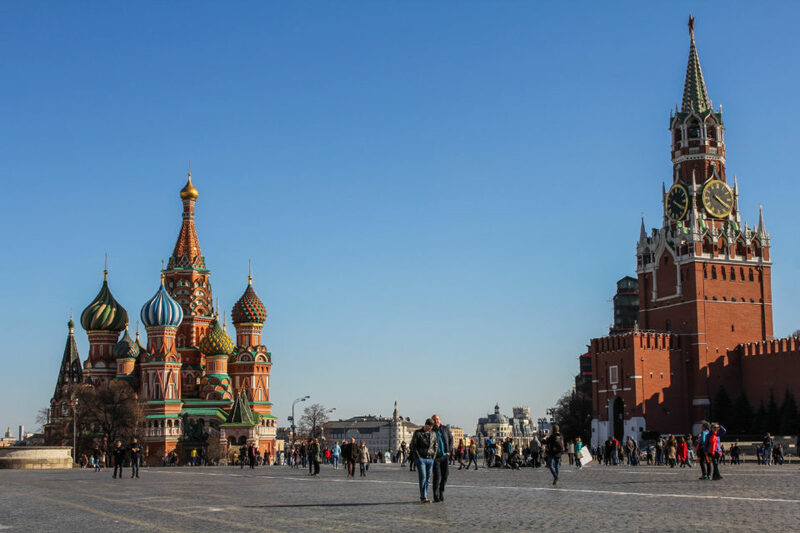 With the magnificent Saint-Basil’s Cathedral (Sankt-Vasily) on the South side, the State Historical Museum on the opposite, the renowned GUM shopping mall on the East side, and the Kremlin and Lenin’s Mausoleum on the West, the square is indeed beautiful! 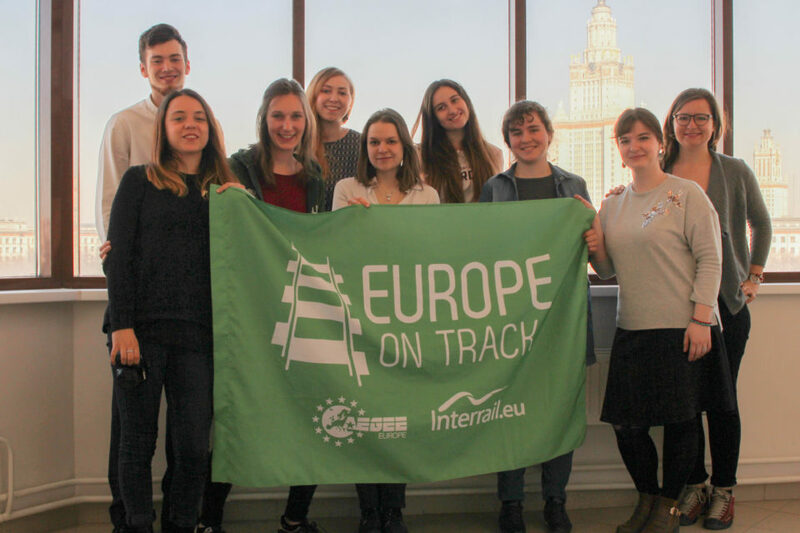 On the 14th, we had an interesting discussion organised by AEGEE-Moskva with some PhD students from the Moscow State University. It was nice to see that the topic of ecology is gaining importance as an academic field of study, and that there are various opportunities to research on it. Yet, much more still needs to be done, and the public authorities lack involvement in the mitigation of Climate Change. Therefore, at the moment, it is mostly up to the individuals and civil society to take action. Unfortunately, people – especially outside Moscow – deal with many other problems that are prioritised over ecological issues, so very little is done to tackle the latter. Without any doubt, education is the key to raise awareness among the population and to empower citizens to adopt a more responsible lifestyle, and to urge the public and private sectors to take action. Discovering the city with Ksenia and Dasha was a real delight. Having been a member of AEGEE-Moskva for six years, Ksenia is definitely used to taking visitors to the best places! We are also super grateful to Ekaterina and Oleg for welcoming us at their flat, and for hosting an amazing Russian cultural night for us. The food was incredible! 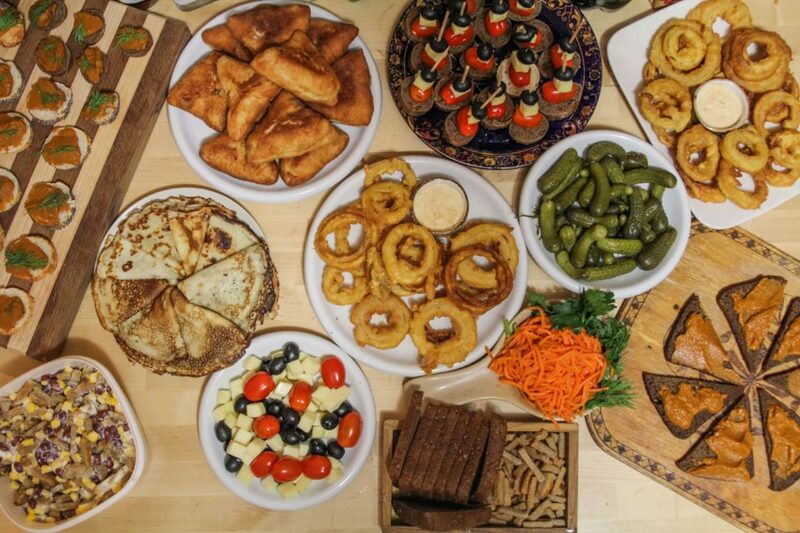 We notably had some zucchini bread-spread; a kind of Russian salad with beans, corn and croutons; homemade onions rings; and delicious homemade Piroshki, a.k.a. ‘babushka pies’, which are fried buns stuffed with mashed potatoes. Last but not least, we have tasted typical Russian drinks: Kvass, a Russian Fermented Rye Bread drink; Tarkhun, an Estragon soda; and Mors, a berry drink. While the first one was too odd for our tastes, the two others were definitely worth trying! Thanks to everyone who contributed to this amazing dinner! We cannot wait to see all those amazing people again somewhere in Europe! Wish to see more pictures of our sixth stop? Check out our album here! Missed our blog post about our previous stop in Voronezh? It is still time to read it here! Written by Aliénor Pirlet, Photos by Marie-Clair Graf and Dmitrii Shismarev.